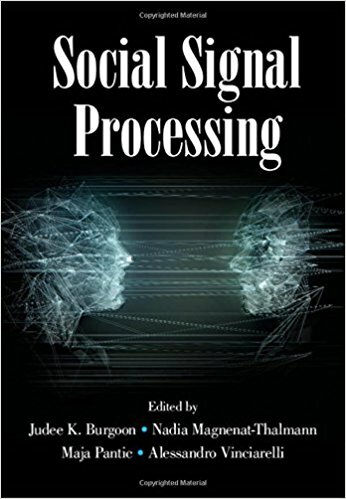 Social Signal Processing is the first book to cover all aspects of the modeling, automated detection, analysis, and synthesis of nonverbal behavior in human-human and human-machine interactions. Authoritative surveys address conceptual foundations, machine analysis and synthesis of social signal processing, and applications. Foundational topics include affect perception and interpersonal coordination in communication; later chapters cover technologies for automatic detection and understanding such as computational paralinguistics and facial expression analysis and for the generation of artificial social signals such as social robots and artificial agents. The final section covers a broad spectrum of applications based on social signal processing in healthcare, deception detection, and digital cities, including detection of developmental diseases and analysis of small groups. Each chapter offers a basic introduction to its topic, accessible to students and other newcomers, and then outlines challenges and future perspectives for the benefit of experienced researchers and practitioners in the field.